Feed up with the look of your garden and looking for Turfing Contractors Dartford Kent. JH Landscapes and Sons are often called out to properties that have uneven ground or patchy areas that don't grow grass. 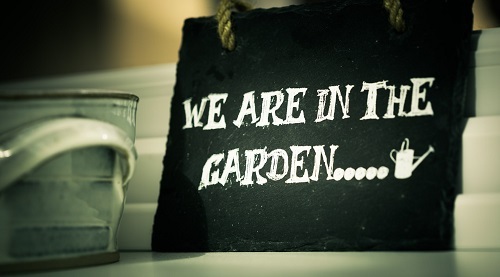 This can be frustrating especially for familys that want to enjoy the garden space they have. 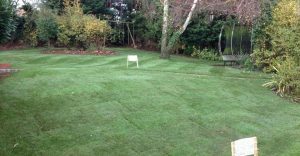 We can level off your uneven or patchy ground and completely renew your garden by laying brand new garden lawn turf . Just like having a new bathroom or kitchen a newly constructed lawn can add thousands of pounds to the value of your property. More and more clients of ours are having artificial grass installed across Dartford and Kent. This is a fantastic option for people who don't have the time to maintain a traditional grass garden. As this is maintenance free its perfect for a family of couple with a busy schedule. Plus artificial grass can also look amazing if you choose the right product. Our advice is to always purchase the product in person, never by without seeing as the completed install could look cheap and not have the wow factor you were after. We understand that Lawn Replacement Dartford Kent is a big investment and we want our customers to know that we are there for them to help them accomplish their dream look that they may have for there property. From start to finish our professional team of lawn replacement specialists are here to help advise and guide you to ensure you garden has that wow factor. Watering your lawn and is the key to preserving its lushness and beauty. Carefully arrange your sprinkler system to ensure maximum coverage to your lawn. A brand new turfed lawn needs regular watering to ensure that it beds in and grows, just like we need water so does grass. 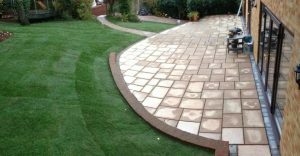 JH Landscapes And Sons guarantee to provided quality of workmanship and customer satisfation making us the best Gardeners Dartford Kent can offer! JH Landscapes And Sons are fully skilled and capable of created the dream garden or desired area for you and many others to enjoy, from general gardening and maintance to erecting fences and constructing patios.